16mm film, color, shyncronized 4 channel digital sound. 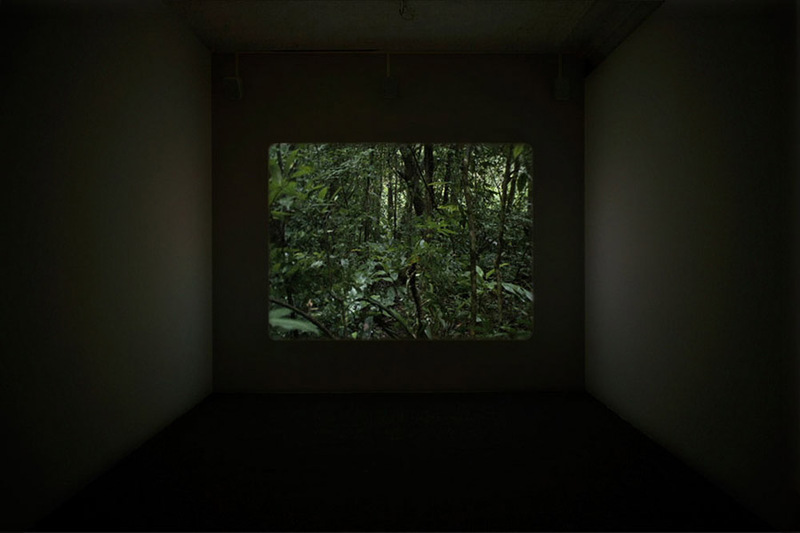 This movie was shot in 16 mm film in the southwestern Brazilian rainforest, the Mata Atlântica. Following strategies of structural film making, 16mm plays with the footage roll used to film it as constitutive base of its form and content. 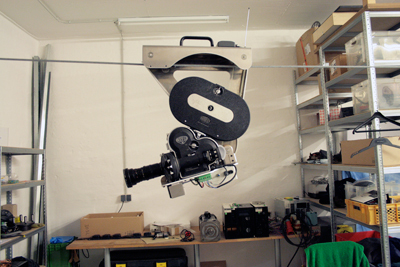 A 16 mm film standard roll of 200 feet (60.96 meters) gives an approximate length of 5' 33" (333"). That means 1 meter of film is consumed every 5.46 seconds or 18.3 cm. every second. each meter of shot film correspond exactly to a meter advanced through the woods, and the speed of this movement corresponds to the speed the film achieved inside the camera. 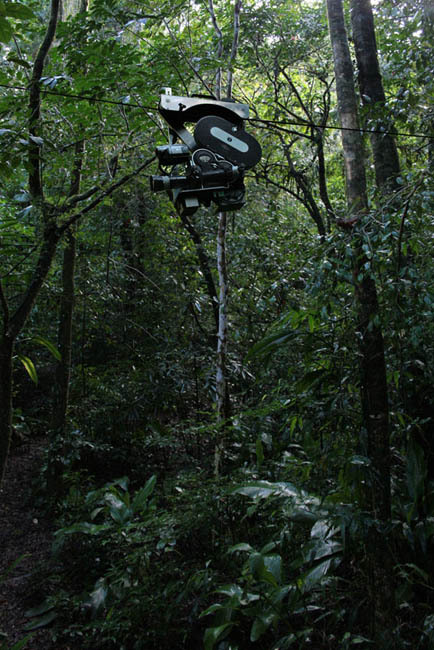 To film the movie a traveling cable was tensioned suspended about 3 meters above the forest soil: a perfectly straight line through the winding jungle – a sharp cut. 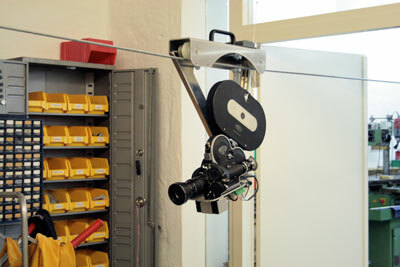 The length of this rail was the same as the roll of film to be filmed with the traveling: for 61 meters of reel that were filmed, the camera advanced another 61 meters. The result is a continuous single take, a long shot traveling with constant speed through the jungle, going deeper and deeper inside it, for the duration of the roll of film, feet by feet . 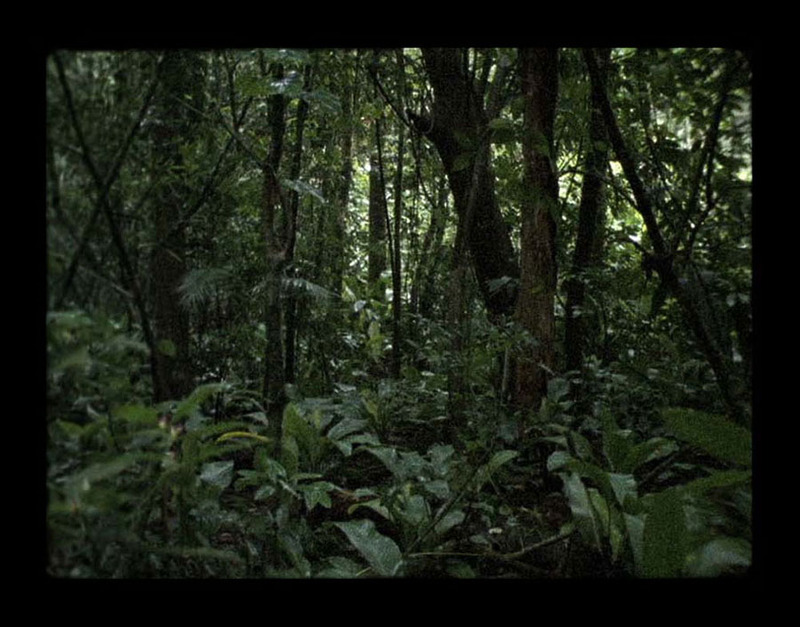 16mm is both an essay on cinema and on the forest and the crossings that occur in it. A film about time and the nature of the creative act. An exercise of penetration that is not without psychological connotations. A tactile look. 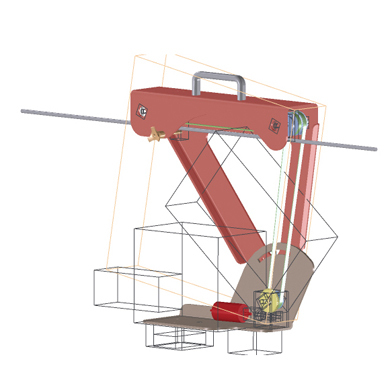 A conceptual and physical work. This structural analysis of the medium was made in the jungle because even today it is one of the ultimate depths and is from the impact felt entering the forest that the whole idea emerges. But this impact is not only physical or psychological: the Mata Atlântica rainforest is also, geopolitically, one of the densest places in the world. Since the time of the "discovery" to the "post"-colonial day of today, in the jungle happen a succession of conflicts: economic, ecological, geographic, human, scientific, historical, territorial, etc ... crossing each other, creating a network of relationships as complex as the geometry of the vines, branches and trunks, and so difficult to equilibrate as it is to penetrate its natural thickness. I want to thank: Cleber Tumasonis from Casablanca, David Serra and Irma Arrieta from ImageFilm, Susanne Pfeffer, Juliana Zimmermann, Bernardo Issa y Luana Cunha from parque nacional da Tijuca, Agustín Perez Rubio, Carlos Ordás, and maria Inés Rodrígues from Musac, Helmut Batista, Denise Milfont and Oto Milfont Batista, Sergio Martins and Ana Wambier, and specially to Renata Lucas. This project was realized with the help of CoNCA, Generalitat de Catalunya, produced with The Musac Grants for Artistic Creation.